So why a recumbent bike? For many people it’s the last resort after trying bike after bike hoping to relieve the pain in their wrists, neck, back, bottom…you name it, they’re tried it. That’s what drew Peter the boss to try recumbents and he never looked back. 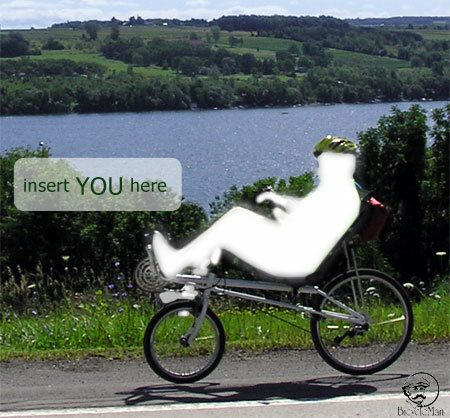 For others it’s curiosity after seeing someone ride by on a recumbent along a Rail-Trail or road. That’s what hooked me. Some come looking for a way to move forward and have fun again after a life altering injury or ailment knock them down. Those are the most rewarding interactions for us and make the hard work worth doing. Why a recumbent is the easy part, which recumbent is the part where our decades of experience come in. We generally have 100 recumbent bikes and trikes from the best companies in the business: Avenue, Azub, Bacchetta, Catrike, Easy Racers, Greenspeed, Ice, Lightning, Linear, Longbikes, Maxarya, Rans, Sun and Terratrike. 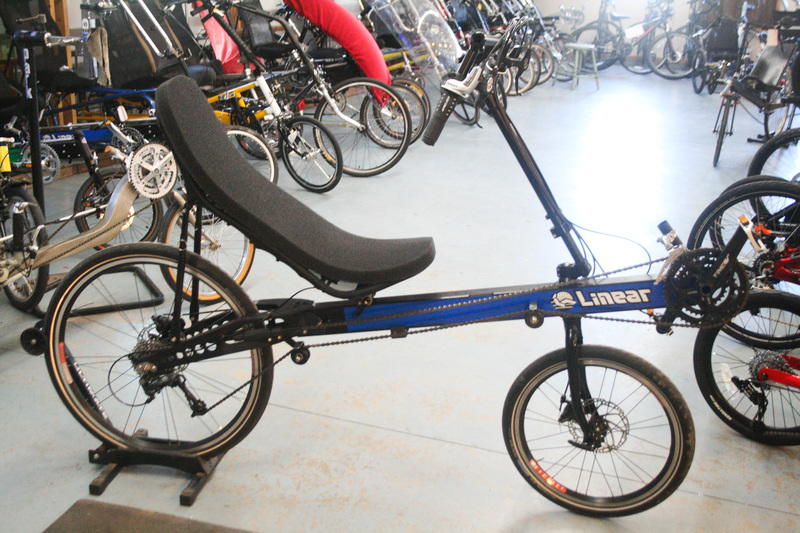 We always have a selection of used recumbents to help lower the cost of entry. 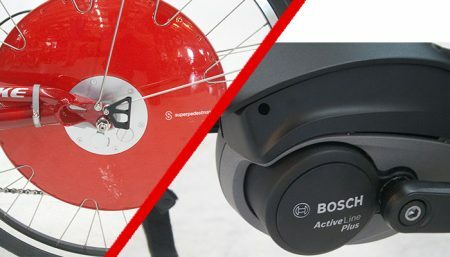 We are here to help ease you into this world of recumbents by spending the time to guide you through the first wobbly test ride and to help sort out which style is best for you. Here’s a thumbnail sketch of the different styles of recumbents to help you understand what might be best for you. 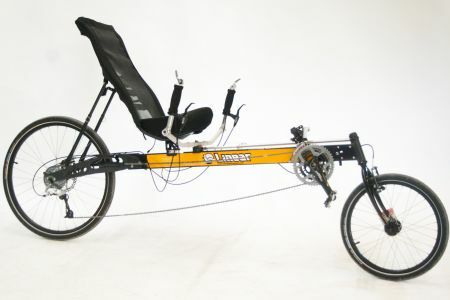 Recumbents can be broken down into four general categories; long or short wheelbase and over seat steering (oss) or underseat steering (uss). Long wheelbase bikes tend to sit more upright, have a long frame to help soak up the bumps and usually have the seat higher than your feet. Often beginners have an easier time getting going on a long wheelbase because they feel the closest to the bikes they have ridden in the past. Short wheelbase bikes require the seat to be reclined more, have a shorter and lighter frame and usually your feet are even with or higher than the seat. They are thought to be better climbers because your body is in a powerful position to push the pedals (think leg press machine) and faster because you are in a more aerodynamic position because you lay back which makes for a smaller profile to the wind. What type of steering is the next dividing line. Over seat steering is just like it sounds, the handlebars are above the seat like a traditional bike. 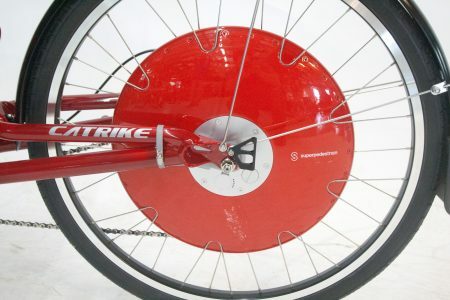 On long wheelbase bikes there is a “chopper” or “tiller” handlebar that comes back at you. Going around a U-turn can mean that the bar gets turned to the side a lonnnggg way to steer around the corner. The good news is that this style of bar lets you sit upright and soaks up the bumps before they jar your hands. Also, because you are sitting with your back supported there is very little pressure on your hands or wrists. Under seat steering has a handlebar under the seat and usually has bar ends or curves in the bar to allow the controls to be mounted next to your hips. This is great if you have shoulder, wrist or elbow problems because your arms are just hanging down at your sides with your wrists in a natural handshake position. Sometimes people are nervous trying underseat because it looks different from what they are used to. They think it’s going to be harder to master. It’s just different. 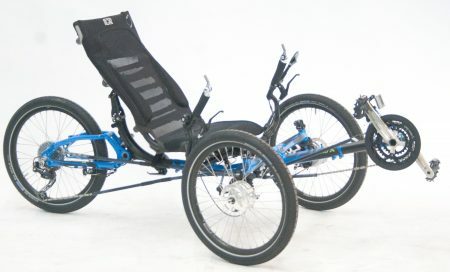 We often have someone try a recumbent tadpole style trike which are all under seat steering to see what it will be like to ride the two wheel version. There are plus and minus factors to all these styles. That’s why we have 100 to try to see what you like best. It’s like going to a candy shop the first time, you need to try a lot of flavors to see what you like best. 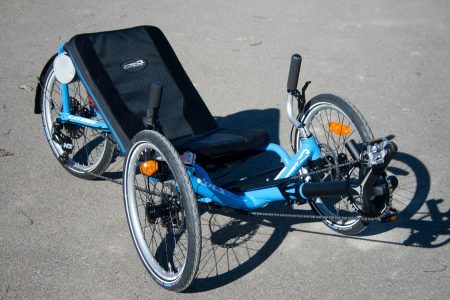 You will be surprised how easy it is to learn to ride a recumbent. Most people will be doing fine after a 20 minute “how to” from us. Those who aren’t will spend the rest of the day riding recumbent trikes and have a great old time. The best advice is come and try. Many people drive 2 to 5 hours and spend the day to really give this a chance. We look forward to helping you get started.